Ruth is a member of a Village Savings and Loans Association from Machakos in Kenya. 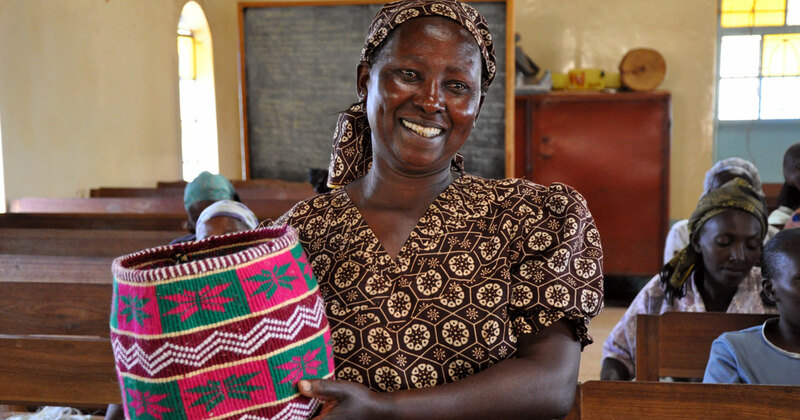 “Build Africa has helped us make things like baskets and then look for a market to sell them as a group. "Our children used to be sent home from the school all the time. Now this has changed because we can pay school fees with the money we make. We can also buy food and plant some seedlings in our land when it rains. Since our savings group started my children have not been sent home. I am confident that by the end of the year they will be performing better."